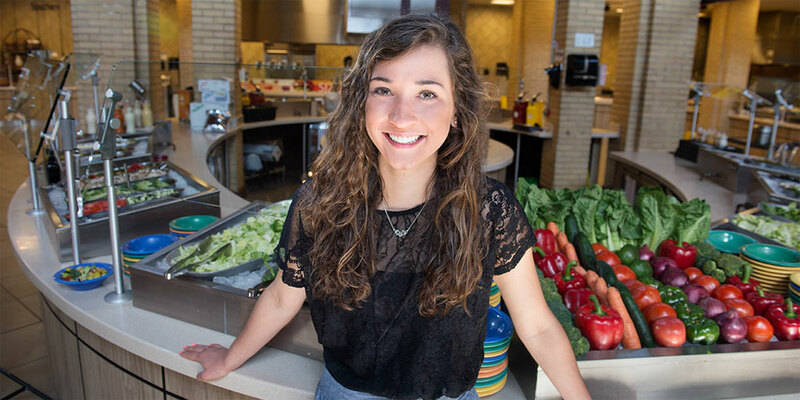 Undergraduate students in the food and nutrition concentration focus on the study of nutrients in food and their relationship to health and disease. The food and nutrition concentration is an accredited didactic program in dietetics (DPD). Registered dietitians are food and nutrition experts. The US Bureau of Labor Statistics expects employment of dietitians and nutritionists to grow 21 percent from 2012 to 2022, faster than the average for all occupations. The role of food in preventing and treating illnesses, such as diabetes, is now well known. More dietitians and nutritionists will be needed to provide care for patients with various medical conditions and to advise people who want to improve their overall health. Complete MSU DPD program with a 3.0 GPA or above (including a "C" or better in all required DPD courses). Complete an ACEND-accredited supervised practice programs (most commonly dietetic internships). The Department of Food Science, Nutrition and Health Promotion at Mississippi State University offers a dietetic internship program. Effective January 1, 2024, a graduate degree (in any field) will be required for RDN exam eligibility. Pass national RDN exam as set by the Commission on Dietetic Registration (CDR). Many states additionally require credentialed individuals to be certified or licensed by the state prior to practicing in the profession. Registered Dietitian Nutritionists (RDNs) apply the science of nutrition by utilizing nutrition knowledge to promote health and/or treat disease in hospitals, clinics, community settings, private consulting practices, sports nutrition and corporate wellness programs, newspapers and magazines, food and nutrition-related businesses and industry, pharmaceutical companies, and more. Most of these settings require completion of a supervised practice program and the RDN credential for employment. Supervised practice program entry is very competitive, so students interested in this route should begin to prepare early. For more detailed information on careers in dietetics, see the Academy’s website careers information. The Mission, Goals, and Objectives of MSU’s accredited DPD aim to guide the program to continuously improve performance of our graduates. The mission of Department of Food Science, Nutrition and Health Promotion's DPD is to increase the number of Registered Dietitian Nutritionists in the state of Mississippi, the United States and the world, who are committed to lifelong learning, equipped to improve the nutritional well-being of persons in diverse populations in urban, suburban and rural areas, and motivated to give back to their profession through mentoring and/or precepting. DPD Goal 1: Graduates of the Mississippi State DPD will serve as mentors and/or preceptors to students in the Mississippi, the United States and the world. DPD Goal 2: Graduates of the Mississippi State DPD will demonstrate critical thinking and problem-solving and decision-making skills that will positively impact communities in Mississippi, the United States and globally. When surveyed, at least 80% of DPD graduates who responded will state “yes” when surveyed that they have served as mentors and/or preceptors to students in Mississippi, the United States and/or the world. When surveyed, at least 80% of DPD graduates who responded will “agree” or “strongly agree” when surveyed about whether they believe that the DPD at Mississippi State University has helped them develop critical thinking or decision-making skills. When surveyed, at least 80% of Supervised Practice Directors who responded will “agree” or “strongly agree” that they are satisfied with graduate’s preparation for supervised practice.